When buying a home of any age, size, or style, it is key to be completely aware of its current condition. Our detailed home inspection report will cover every aspect of the home’s current condition from foundation to roof, inside and out. We will look for moisture issues, safety issues, health hazards, pest issues, and any other items of concern. Every inspection includes the use of special tools as needed, including: Thermal Imaging cameras, moisture meters, electrical testing equipment and more. This report will provide you with a valuable tool in the real estate purchasing process. See The full inspection page for more detailed information on our process. Pricing is square footage based. According to an article on the National Association of Realtors website, “The buyer has the upper hand when they have an inspection,” says Jessica Edwards, Coldwell Banker consumer specialist and real estate professional. “If you are willing to do it ahead of time, you give the control back to the seller.” read the full article here. Prior to listing a house for sale it is very important to be aware of any potential problems or maintenance issues that may be noted by the prospective buyer – if you are aware of the level of concern it can give you bargaining power in the negotiation process. A safety inspection is important to best protecting your family (and guests) in your home. A safety inspection is a good idea when you plan on having short or long term guests moving into your house. Maybe you’re expecting your first child and aren’t sure if the new baby’s room is safe for the baby? Or maybe you’ve done some work on your house and want to ensure it’s done up to code? Or maybe you’re planning to rent out a portion of your house and want to ensure it’s safe for a new tenant. Peace of mind in your own home is very important. Becoming aware of small problems before they grow into large ones can save thousands on repair costs over time. Radon is the second leading cause of lung cancer next to smoking. Testing is the only way to find out if there are elevated levels of radon in a home. Homes (as many as 1 in 3) in Summit and Wasatch Counties will often test above 4 Ci/L, which is considered unsafe. Radon gas is a naturally-occurring byproduct of the radioactive decay of Uranium in the soil. The EPA recommends that all homes in the U.S. should be tested for radon. High radon levels are easily fixable, at a reasonably low cost. A mold inspection is a non-invasive inspection of a structure for the presence of visible mold and or mold producing conditions. During a typical mold inspection, we will utilize: infrared cameras, humidity monitors, and moisture meters, to help determine the presence of these conditions. We offer a variety of testing options with a mold inspection, that can be customized to the conditions seen and the needs of an individual property. The key to mold control is moisture control. Why is mold growing in my home? Molds are part of the natural environment. Outdoors, molds play a part in nature by breaking down dead organic matter, such as fallen leaves and dead trees. But indoors, mold growth should be avoided. Molds reproduce by means of tiny spores; the spores are invisible to the naked eye and float through outdoor and indoor air and can be harmful to your health. 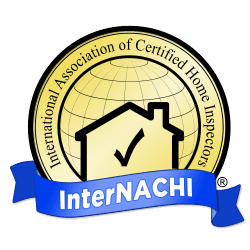 HomeTech Property Inspections is a locally owned, certified, and fully insured home inspection company proudly serving the Northern Utah Real Estate community. Our home inspection services focus on Wasatch and Summit counties, including: Park City, Heber City, Midway Utah and the surrounding areas. My name is James D’Angelo, I am the owner of HomeTech Property Inspections. I understand the process of doing a property search, finding a house for sale, and then searching for the best home inspector can be somewhat overwhelming. At HomeTech I take great pride in the inspection process as well as my relationships with the buyers, sellers and their real estate agents. I personally manage every aspect of the inspection process from initial consultation all the way through to following up on the completed reports. My mission is to provide you with a professional, detailed and unbiased inspection in a timely manner.